Curb your cravings with these helpful tips. The donuts in the break room, an ice-cold soda for lunch, chocolate cake for dessert, the whole bag of chips, or a midnight snack. What are you craving? Maybe it’s certain times of day, triggers in your surroundings, or your emotional state that makes you crave certain foods. Whatever the cause, suddenly you realize your mouth is watering and your mind can’t think of anything else. Whether sweet or salty, it’s unlikely your cravings are part of your diet plan. You want to reach your weight loss goal but when the cravings hit it’s hard to stay on track. Keep reading to learn a few tricks of the trade to keep cravings at a minimum or how to stay strong when they hit. One reason you crave foods is because you’re hungry and depleted of energy. 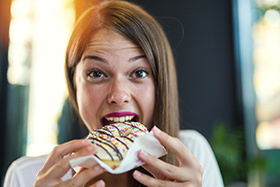 Waiting too long between meals or snacks can make you crave sweets or simple carb foods that fill your belly and give you a quick rush of energy. Make it your routine to eat a small snack between meals and eat your meals at consistent times each day to help keep you from feeling excessively hungry when you finally do eat. At each meal and snack, plan to include a source of protein and fiber. Doing this gives you the best chance at feeling full long after you’ve eaten and having a store of energy that will last. Studies show protein, in particular, is helpful at reducing cravings. It’s easy to think you’re hungry when you’re really just thirsty. Keep a water bottle nearby to sip on throughout the day. When you start to crave a certain food, take a big drink of water and wait a couple minutes. You may likely find that your craving goes away. Do this enough times and your gut will go away as well. Lack of sleep affects the hormones responsible for appetite and cravings. Sleep-deprived people are much more likely to be obese. Plan to get seven to nine hours of sleep each night to help keep your hormones balanced and your cravings in check. It may sound odd, but sometimes, one of the best ways to avoid giving in to your cravings is to distract yourself. When you can’t get your mind off the carton of ice cream in the freezer, go for a walk, read a magazine, chew a piece of gum, or take a shower. Changing your surroundings and thinking about other things can help you forget about your cravings. Snacks aren’t the enemy. Junk food and overeating are. Keep healthy snack options on hand. When you feel the urge to eat something sweet, eat a piece of fruit or a cup of Greek yogurt. If you’re craving a salty treat, snack on a handful of trail mix, some air-popped popcorn, a few nuts, or some cheese and crackers. Whatever snack you go with, just be smart. Many people turn to food as a way to cope with negative emotions and stress. Overeating is common when you’re anxious, bored, or upset. Learn to recognize your triggers and adopt healthy ways of managing stress to help reduce your cravings. 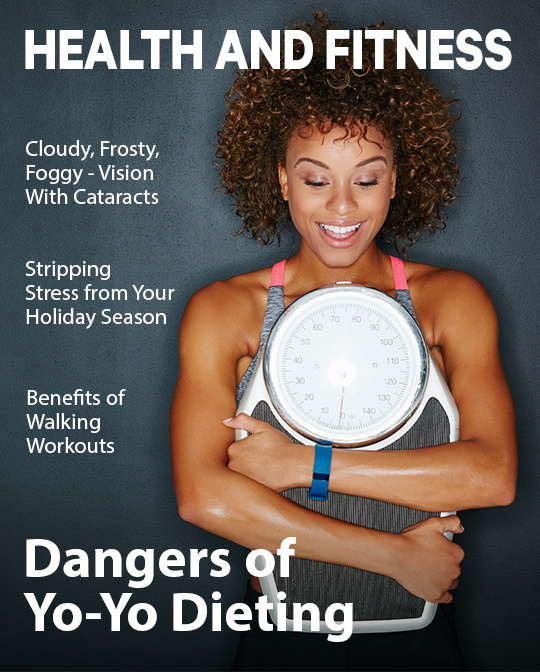 Exercise, yoga, and relaxation techniques are a few options to push stress and overeating out of your life. Depriving yourself all the time of all your favorite foods sets you up for giving up altogether and overindulging. When you’ve tried the other tricks but still can’t get chocolate off your mind, enjoy a few bites. Or eat a fun-size candy bar instead of a regular size. If you get back on the wagon fast, these treats won’t ruin your diet and won’t keep you from reaching your weight-loss goals. Dehydration is often mistaken as hunger. Drink more water throughout the day, before you feel thirsty, and you may find yourself feeling hungry less often.